But before we start let’s clear up the biggest source of confusion when it comes to animations in React. When do I need the add-on ReactCSSTransitionGroup to do a React animation? If you look in the animation section in the React docs. You learn there is an add-on called ReactCSSTransitionGroup. But why do you need an add-on to do a React animation? Why can’t you specify keyframes/animations in CSS? The answer is that there is one case when you need this add-on. And that is when you want to animate a component being inserted or removed from the DOM. All other types of animation can be coded in regular CSS. Now let’s implement the React animation. When clicking no, the second box disappears. Because we want to animate an element disappearing from the DOM, we need to use the add-on ReactCSSTransitionGroup. Let’s start by writing the React components. I only show the JSX to keep it short and readable, for full code scroll to the bottom of this post. Note that the two sections of the form are implemented as two divs. They are both using the CSS className step. In the latest version of React, ReactCSSTransitionGroup has been moved to its own repository and there have been some changes in the API. We will use this latest version which is v2. 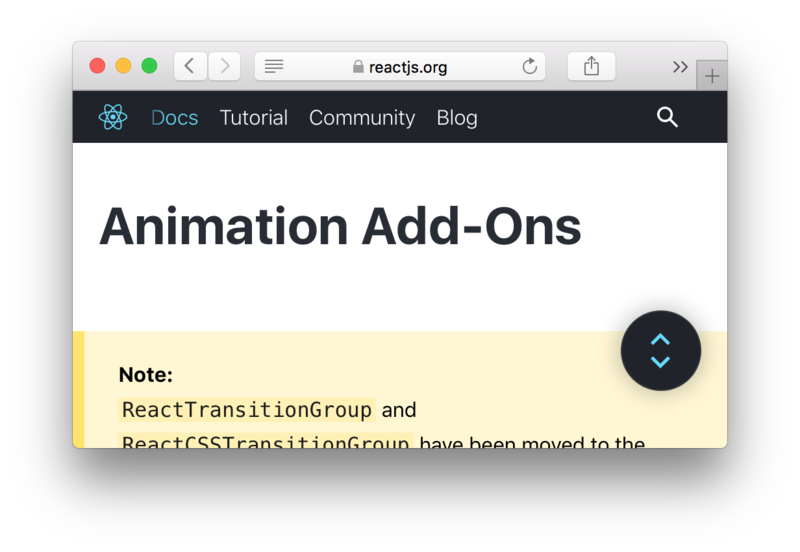 To be able to animate when a component enters and leaves the DOM we are going to use add-on TransitionGroup and CSSTransition components. When a user clicks yes, and second step component enters the DOM, it adds the CSS class step-enter to the component that enters, and when it leaves it adds the class name step-leaves. There is also an “active” class that activates the animation. We are going to style these classes with CSS to create the actual animation in the next step. Try coding the React animation yourself! Now try to implement your own React animation. Get the full code from the tutorial by signing up below!